Andhra Pradesh CM Chandrababu’s Open Letter To PM Modi to satisfy the guarantees made amid the bifurcation and do equity to the five crore individuals of Andhra Pradesh. 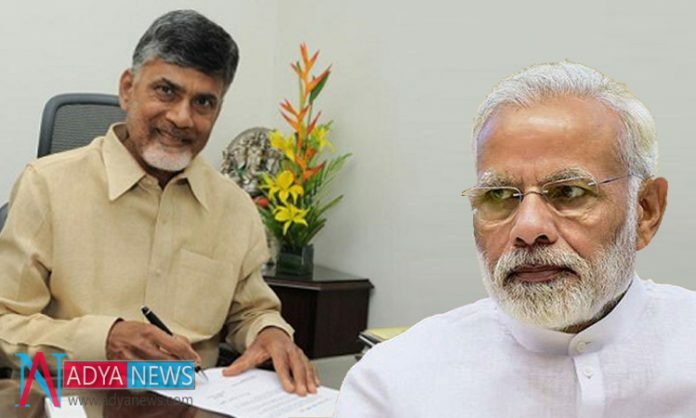 Expressing the general population of AP are furious with the Prime Minister and the Central government for not satisfying the affirmations referenced in the AP Reorganization Act, 2014 alongside the pending interest for Special Status to Andhra Pradesh. Chandrababu Naidu additionally reminded the Prime Minister that since he makes of the previous expressing he is a senior, it doesn’t change certainties. Modi ji, you ought to recollect that your joke of me isn’t just coordinated towards me. You ought to recollect that I’m the Chief Minister of a state and I have been fairly chosen by 5 crore individuals of my state. In this way, you have taunted me, yet additionally the general population of my state. What’s more, this isn’t satisfactory in a Democracy, he expressed in the letter. In the letter, the TDP Chief additionally reminded him expressing that Telugu Desam Party has been serving Telugu individuals for 1983 and individuals are very much aware of our activities and our administration to them. Give me a chance to advise you that your comments and analysis of TDP and individual assaults on me cut down the status of a PM’s position and convey disgrace to your seat. It would be ideal if you recall that, inside 4 years, notwithstanding winning a dominant part command in Lok Sabha in 2014 races, you have cut down your picture and have disregarded the general population of this nation with your sheer self-importance, he referenced. Reviewing the Prime Minister’s gatherings amid his 2014 decision crusades in Nellore, Tirupati, Madanapalle, Bhimavaram and Guntur, the Chief Minister said that the Prime Minister guaranteed to spare both the mother and kid, after bifurcation. However, presently it is backing down from sparing the mother and doing bad form to the state. The Prime Minister gave just a pot of soil and water to the general population of AP while he didn’t do anything to help in the Construction of Amaravati. In what manner can a world-class capital be worked with a pitiful Rs. 1500 crore endorsed by the Center, he stated, in the letter. Expressing that the Central government has not taken a choice on Dugarajapatnam port, Kadapa steel plant, Vizag railroad zone, it has apportioned small assets for the development of instructive organizations in the Act. It will take 30 years to finish the development of foundations with the sort of assets given over the most recent four years, he said including that the Center is oppressing Andhra Pradesh. Helping the Center to remember its absurd and youthful conduct, the Chief Minister said in the letter that the Center has take Rs. 350 crore again from the assets assigned to build up the regressive locale of the state. This is hindering to the interests of the government soul of the Indian constitution. A Prime Minister should know the estimations and yearnings of the general population of Andhra Pradesh on Special Category Status, he said.